If you have been following news about Mac Pro closely then you would find some really oddly named GPUs in the configurations. GPUs that apparently didn’t exist before the Mac Pro. There have been multiple guesses about these GPUs but no confirmation, uptill now. Ladies and gentlemen, directly from our Chinese Source, AMD’s New Professional GPU series. New AMD FirePro D Series Detailed – Exclusive to Apple Mac Pro Only? Of course our sources also mentioned a possible Apple Exclusivity Agreement, meaning that there is a chance that the D Series will never go mainstream which could be one of the reasons why AMD never bothered explaining the D Series GPUs found in Mac Pros. Without further ado heres the chart of the D Series GPU and their comparison with W Series Counterparts. So basically as you can see the D Series are more or less a slightly cut down version of the counterparts in the W Series. The AMD Fire Pro D300, D500 and D700 are all slightly behind the W7000, W8000 and W9000 respectively. The reason for this might be that the D Series is supposed to go into the confined space of the Mac Pro, and while AirFlow shouldn’t be a problem TDP Efficiency is an absolute must. This is another reason why we think the D Series wont make it to mainstream although don’t quote us on it. Basically the FirePro D300 is a lesser version of the W7000, the D500 is a lesser version of the W8000 and the D700 a lesser version of the W9000. 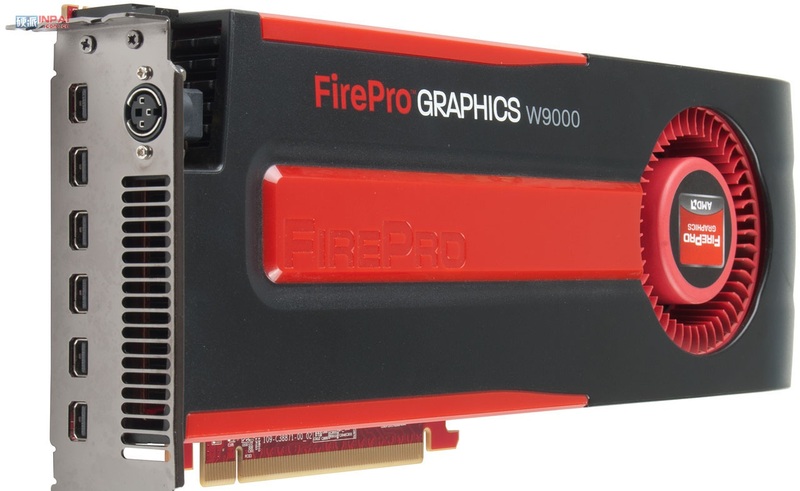 Interestingly the D700 (Practically a Rebrand) has not been physically disabled any further than the W9000 yet it gives about 0.5 TeraFlops less compute than the AMD FirePro W9000. Needless to say AMD’s take on efficiency is very interesting and though we dont see a market for such a series apart from Mac Pros, AMD might decide otherwise.